There are tons of apps on my iPhone that I love and use all the time, from my local supermarket's app to fun games like Threes. It's really hard to choose favorites, but that's exactly what Suzanne asked me to do: Pick my 10 favorite free iPhone apps. It wasn't easy. But after much deliberation, I narrowed down the apps I use every day down to a list of 10 that spans multiple genres, from GPS navigation to fitness tracking. Take a look at my faves, and if you'd like, use the comments section to tell us all your favorite free apps that I might have missed. To be sure, the stock Maps app on your iPhone has improved a lot since its disastrous launch two years ago, but it’s still not as well designed and robust as the Google Maps app it replaced. Google Maps 3.0 offers highly accurate traffic reports, construction alerts and road closings provided by Waze, lane guidance so you don’t miss your next turn, the ability to save maps for offline use and even mass transit directions with schedules built in. And if a new, faster route becomes available, Google Maps will alert you and ask if you’d like to switch. You can download Google Maps for iOS on the Apple App Store. Yahoo has long been the provider of your iPhone’s stock weather app, but that’s about to change later this year in iOS 8 when Apple will switch to The Weather Channel. But you shouldn’t wait for iOS 8 – the stand-alone Weather Channel app is leagues ahead of Yahoo’s version now. It offers extended 10-day forecasts and hyperlocal rain reports down to your exact location. It looks great, and as an added bonus, it doesn't glitch out like the stock iPhone app occasionally does. You can download The Weather Channel app for iOS on the Apple App Store. I’m a big fan of NPR shows like Radio Lab and Wait, Wait, but I’m rarely around a radio when the shows are broadcast. That’s why I like the Stitcher radio on demand app. It streams podcasts direct to your phone from all the biggest names, from popular NPR shows to The Nerdist to Penn Gillette to Joe Rogan. There are plenty of news briefs too, so you can stay current on what’s going on in the world. You can download Stitcher for iOS on the Apple App Store. I recently took a cross-country road trip, and as you can imagine, I spent a lot of money on gas along the way. But I was able to save a lot of money on gas too thanks to the Gas Buddy app. It relies on crowdsourcing to constantly update gas prices at fueling stations across the country, letting you compare prices no matter where you are. You can even overlay prices over a map, pinpointing the best, cheapest location to refuel on your route. Prices tend to be accurate, and are generally quickly updated when they’re not. 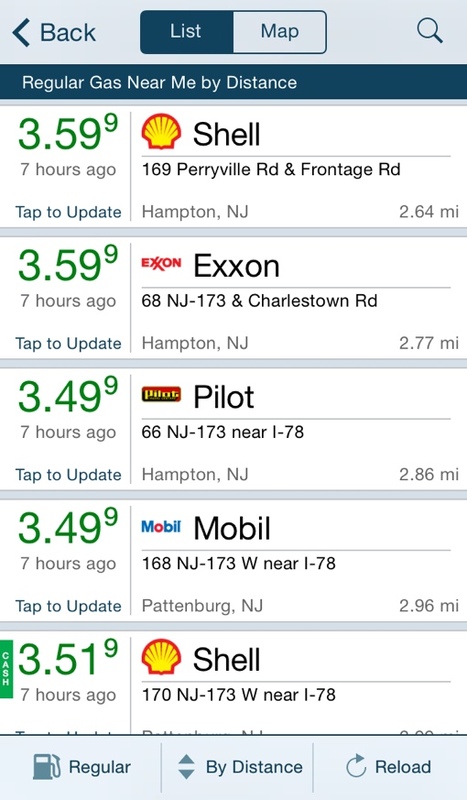 You can download Gas Buddy for iOS on the Apple App Store. Pretty much everyone is on Facebook these days, for better or worse. To stay connected with everyone in your social circle, I recommend downloading the official Facebook app. It learns your preferences as you use it, delivering content it thinks you’ll find most relevant. And you can change your own profile and write your own updates on the go, making all your friends jealous of your exciting night out on the town. It’s a guilty pleasure that I just can’t do without. You can download Facebook for iOS on the Apple App Store. It the past, I’ve called Google Now “creepy” – and it is. But that’s just because it’s so good at learning about you and your life. Google Now learns where you work, where you live, and where you travel, providing you with instant weather alerts, traffic and mass transit updates based on where it thinks you’re going. And if you’ve got a Gmail account, Google Now pulls travel bookings and restaurant reservation confirmations from it, automatically notifying you if your flight is delayed and letting you know when you’ll need to leave home to catch it. Plus, it learns from your Google searches to deliver sports scores and news headlines it thinks you’ll be interested in. You have to give up a lot of privacy to Google to use it, but Google Now is so good that doing so feels worth it. Google Now is part of the Google search app and is available for iOS on the Apple App Store. There are plenty of great fitness apps available on your iPhone, but one of my (and Suzanne’s) favorites is Adidas miCoach. It offers coaching, training plans, exercises, performance tracking that includes steps taken and calories burned and GPS tracking. You’ll get the most out of miCoach by pairing it with a compatible activity monitor, but it still works great as a stand alone app. Give the free app a try – you have nothing to lose but a few pounds. You can download Adidas miCoach on the Apple App Store. 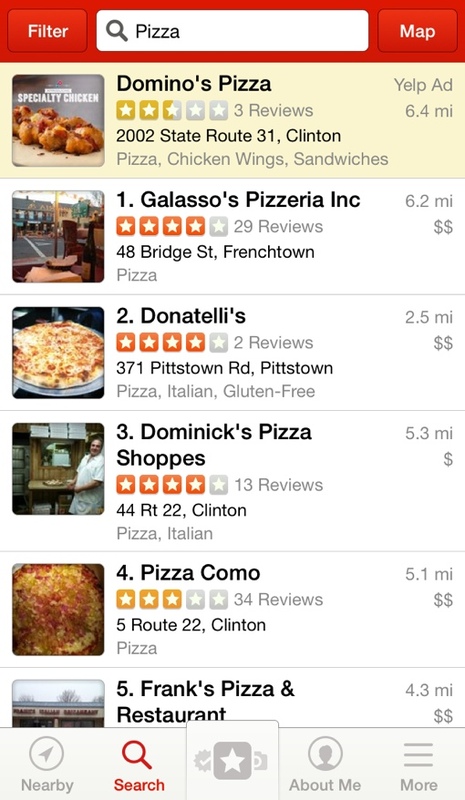 Whenever I’m feeling hungry away from home, I reach for the Yelp local discovery app. It ranks local businesses based on user-submitted ratings and reviews, making it easy to discover a great new hair salon or the place with the best pizza in your town. Yelp learns your preferences as you use it and check-in to businesses, tailoring recommendations to your own individual tastes. Yelp also helps you save money: Occasionally, businesses offer coupons and specials on the app just for stopping and checking in. You can download Yelp for iOS on the Apple App Store. RedLaser is a shopping assistant app designed to help you find the best prices on any item with a barcode. Just use the app to take a photo of an item’s barcode and RedLaser will figure out what the item is, which local stores and websites sell it, and at what prices. And as a bonus, the app stores all your loyalty card info and offers coupons, helping you turn a good deal into a great deal. You can download RedLaser for iOS on the Apple App Store. I’ve said it before, but Spotify is my absolute favorite app for streaming music to my iPhone. I pay for the $9.99 monthly premium service, but there are plenty of free listening options available for those who don’t mind a few ads every now and then. Spotify lets you create and modify your own radio stations, create playlists and shuffle through songs by your favorite artists. And if you install the app on an iPad, Spotify now lets you listen to individual songs on demand without you having to shell out the cash to become a premium subscriber. You can download Spotify for iOS on the Apple App store. 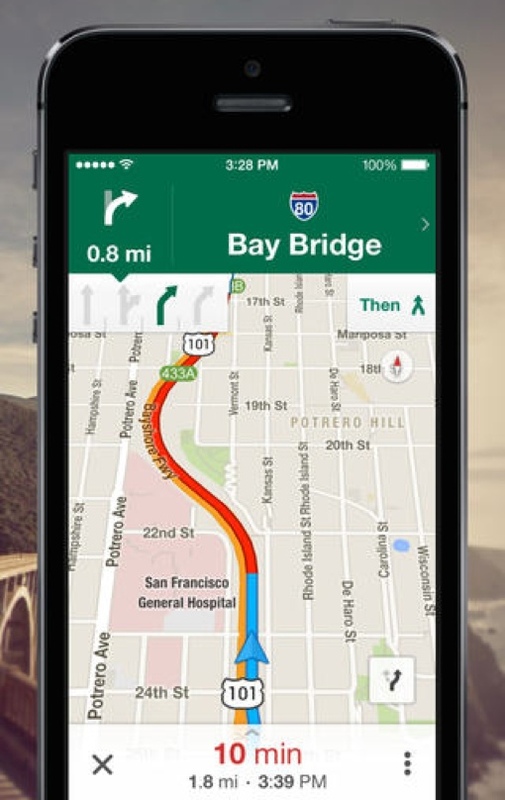 We use Waze on a daily basis, and it has proven to be the most useful travel app ever. With the recently rolled out updates Waze now enables sharing your destination and your E.T.A. with other Wazers, making “I’m sorry to be so late, there was a traffic jam/accident” a completely unnecessary excuse since other Wazers will see the actual jam/accident themselves, and be able to avoid it. This is great if your job is wondering where you are, especially if you work in construction, transportation, etc. With the addition of Foursquare, Waze offers social media access too, for those who have issues with FB and their ever-morphing privacy policies. The most reliable weather app is Weather Underground, with daily and hourly forecasts. I can always count on it!